World IT Zone offers Virus Removal, Spyware Removal, Malware Removal Services near your home In all over Delhi, Noida, Ghaziabad and Gurgaon. at best prices. World IT Zone will scan andremove all kinds of viruses, Trojans and Malware from your computers and laptop returning it to its optimal working condition. Incredible Computer Solution is an East Delhi based Company. ICS employs a team of experienced service engineers MCP, MCSA, MCSE, CCNA, A+ & N+ certified computer technicians dedicated to providing a fast, professional and superior service, combined with a friendly customer support. Our goal is to bring an affordable computer support to your doorstep and to resolve your computer problems. 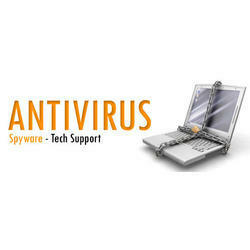 - Scan your PC for Virus / Spyware attack and Remove them. Don't worry, Techgiantindia is here for you! now as We install the latest security software on your laptop at the most affordable prices. Ubque offers on site and in-house repairs and services. Upgrades: Trojan, Viruses & Spyware removal: Hardware & Software issues (Windows & Linux.). Your One stop service company. Our technicians are highly trained and courteous. Prompt old fashion service with up to date technology and competitive prices. If you're plagued by pop up windows whilst using the internet & your computer performs oddly, perhaps displaying unusual error messages, then your computer may have picked up an infection. We can remove any & all computer virus from your computer , even the more serious rootkit type infections that many Anti virus programs either fail to spot or are unable to remove completly. Our Certified Technician scans your computer to detect viruses and remove them. We are engaged in providing Virus Removal and Computer Protection to our clients. LASIK (Laser in-Situ Keratomileusis): is a refractive surgical procedure that result in rapid recovery of vision and has the capability to benefit patients with Myopia (short sightedness), Hypermetropia (long sightedness) and astigmatism by reducing dependence on eye glasses and contact lenses.